Madeline Island Museum offers many opportunities to volunteer in a variety of capacities. If you have an interest in volunteering some time, contact us by phone at 717-745-2415 or send an email.  You’ll meet some interesting people, have some fun, and learn more about Wisconsin’s past. Join us in telling the story of Madeline Island’s past! Madeline Island Museum has opportunities for seasonal limited term employment from mid-May to mid-October each year. If you are interested in working at the museum during the summer please contact the museum by phone at 715-747-2415 or send an email.